"Professional Motorcycle Racing Association (PMRA) is pleased to announce that S&S Cycle is the new Class Sponsor for the Nitro Pro Dragster class for 2015. Nitro Pro Dragster was a new class in 2014, competing at only 3 out of the 6 events. In 2015, with the help of S&S Cycle, Nitro Pro Dragster will now be featured at all 5 events! These nitro burning, v-twin powered machines are a feature class and the fans and racers line up to watch them blast down the quarter-mile. 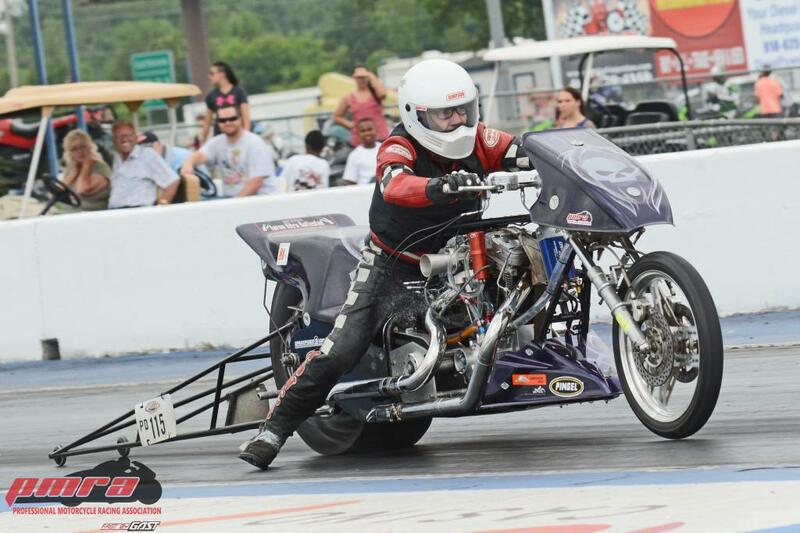 S&S Cycle’s involvement demonstrates their continued support of motorcycle drag racing and allows the Nitro Pro Dragster class more opportunities for competition. Look for S&S Cycle information and apparel available at all PMRA events in the 2015 season and on the web at www.sscycle.com. Entering its 22nd year as a racing association, the PMRA looks forward to strengthening its commitment to providing a highly-competitive, family-friendly, quarter-mile, all motorcycle racing venue for many years to come."